Buying your first home is an exciting time, but it can also be stressful and overwhelming. Let’s take a minute and break everything down before you jump head first into the process toward purchasing a house. In the simplest of terms, a mortgage is a loan in which your home is used as collateral. Your financial institution or mortgage lender will issue you a large sum of money (usually covering about 80% of the house’s price) which you must then pay back, with interest, over a set period of time. Failure to make your payments may result in your lender taking back your home in a process known as foreclosure. The amount you are able to borrow depends on your credit history, income, and savings. As a general rule, it’s ideal to get pre-approved for a loan before looking for a house so you don’t get your heart set on something you can’t realistically afford. 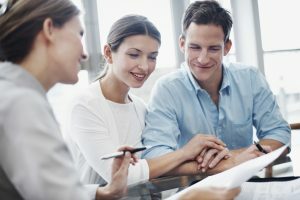 There are many factors apart from the mortgage, such as insurance and property taxes, that will determine what you will actually end up spending and it’s best to have the help of someone who knows what they’re doing during the mortgage and buying process. Ideally, your mortgage payment should not be more than 25% of your monthly income. Your down payment is the money you pay upfront which reduces the amount of money you have to borrow on a mortgage. This is usually about 20% of the home’s purchasing price. 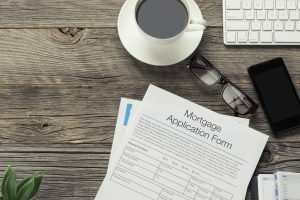 Your mortgage is then split into four parts; the principal, which is the total amount you borrow after the down payment; the interest, which is a percentage of the total amount you borrow; the taxes, which are put into an escrow account until they’re due; and insurance, which protects your home against potential hazards. Here at Cyprus Credit Union, we are your mortgage partner. Our team of highly specialized mortgage advisors will take a look at your financial situation, help you find the loan option that works best for you, and then be there to assist you every step of the way. For more information and our current rates, you can check out our website & mortgage center or call (801) 260-7999 and select option 3 to be transferred to a loan officer.